Overwatch fan creates female junker character concept. Freelance concept/illustration artist and Overwatch fan Gustavo Torqueto has created a very detailed and utterly cool Overwatch hero concept. Her name is Charlotte, or "Flyfox," and she's inspired by the Junkers in Junkertown. - Passive jump: She uses a kangaroo jump so is possible to gain high if you jump correctly. - Ability 1: Toxic gas similar to tear gas, but it intercepts and blur's the vision of the enemy player. - Ability 2: Speed boost, Boomerang that gives speed to a friend. - Ultimate: Guided boomerang that does high-amount of damage. 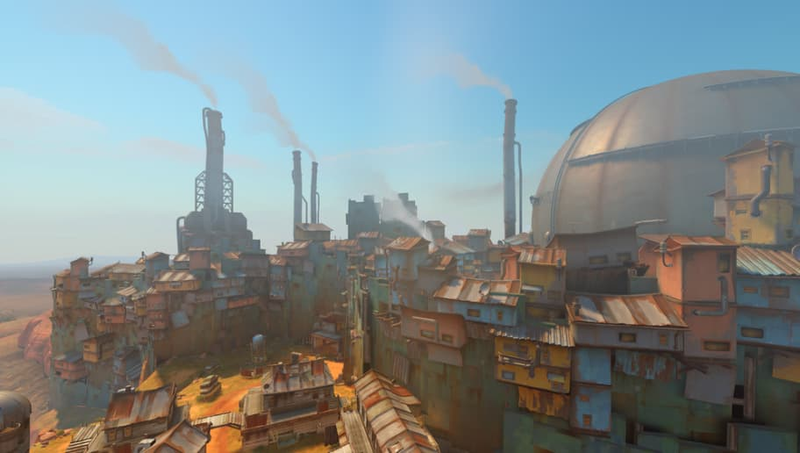 Flyfox seems like a ridiculously entertaining hero to play, and any new character hailing from Junkertown would be a welcome addition to Overwatch. Residents (and ex-residents of course) of Junkertown are spunky characters with fantastic design and fun backstories. Speaking of fantastic design, Torqueto has shared many more concept art pieces of Flyfox here and it's well worth a look.